This piece was written by Dave Marrs and originally appeared in the UCT GSB Business Review. Dave Marrs is a former Business Day finance editor who now runs the publication’s Cape Town bureau. He is also chief lead writer, a columnist and editor of the Bottom Line. National elections invariably train the spotlight on governance. Equally predictable is that opposition parties will disapprove of what is revealed about the incumbent governing party. It is therefore no surprise that the buildup to South Africa’s Election 2014 has seen a focus on corruption, maladministration, the wastage of public resources and financial scandals, most notably the allegation that President Jacob Zuma benefited personally to the tune of more than R200m from irregular ‘security upgrades’ to his home at Nkandla. While at least some of this can be written off to electioneering, there is a widely held public perception that moral standards have been slipping in South Africa, not only in government but across society, including in the business sector. Far from having been suppressed by the 2008 global financial crisis and subsequent recession, the straitened times appear to have increased the amount of fraud and general unethical behaviour taking place in society. The lament that is frequently heard is that the country has lost its moral compass; that South Africans no longer share a common set of ethical values. In the case of business, this is seen to be reflected in the widening pay differential between company executives and the average worker, and conflict between trade unions and the corporate sector over retrenchments and what should be considered an acceptable return on investment. Violent confrontations such as the 2012 Marikana massacre, when 34 striking platinum miners were killed and 78 wounded by police gunfire, point to a complete breakdown in the relationship between some companies and their employees, despite their adherence to basic employment regulations, the existence of liberal labour laws that grant trade unions free access to the workplace, and the widespread application of corporate social investment programmes in surrounding communities. The government’s response to such incidents has been to pass legislation covering, among others, black economic empowerment, minimum wages, employment equity and increased regulation of the extractive industries. These ostensibly benefit employees, local communities, and the state through royalties and free carry arrangements, but tend also to make it more difficult to do business in the country. There are indications that South Africa is no longer a preferred destination for foreign capital seeking investments in emerging markets, for instance, with the mining sector in particular experiencing damaging disinvestment. It is clear that to avoid a downward spiral of disgruntled employees, a pressurised government attempting to legislate the nation to prosperity, and capital flight, a social compact is required to achieve consensus on a way forward that benefits society as a whole. Key to this is the re-establishment of a value system that is accepted by all, and it is in the long-term interests of business that it takes the lead in this endeavour. 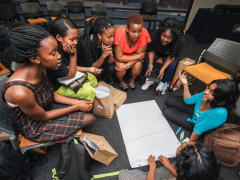 It is for this reason that the establishment of the Allan Gray Centre for Values-based Leadership at the Graduate School of Business is such an important development. The centre, which has been funded by Allan Gray, founder of Allan Gray Proprietary Limited and co-founder of the Allan Gray Orbis Foundation, and his wife Gill, will explore new ways of doing business based on purpose and sustainability, with the intention of creating dignity and belonging in the workplace. To Gray, values-based leadership involves a fundamental questioning of the principles by which many firms have been doing business, and the chair will explore what is required for the generation of new business and economic practices that are geared towards adding more value to society. While this corporate philosophy of first trying to make a positive difference to others may seem inconsistent with running a profitable and successful firm, Gray says that nothing could be further from the truth. ‘Acting in society’s interests can be and is good business. 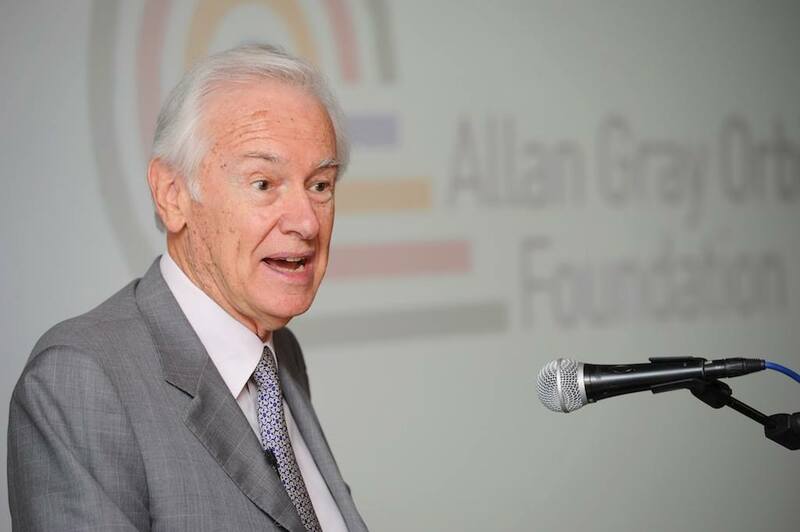 Over 40 years ago Allan Gray was founded with this conviction and ethos, yet has managed to prosper in South Africa’s intensely competitive field of asset management,’ he says. 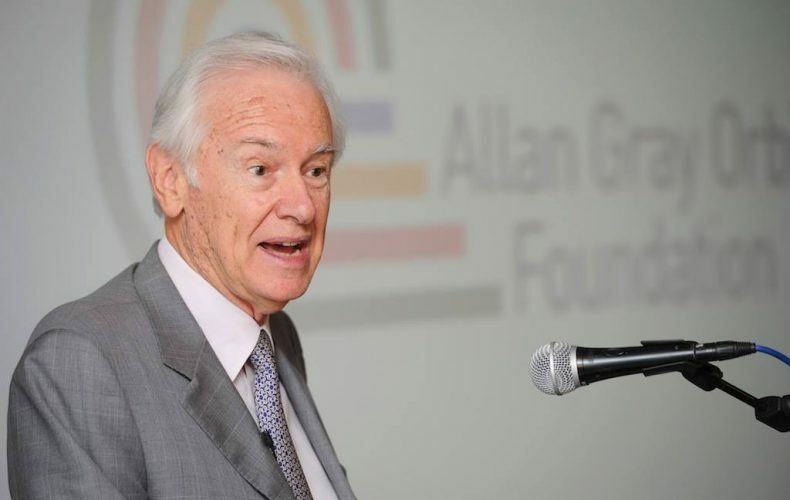 The Grays’ involvement with the GSB started about three decades ago, when they endowed a Chair for Strategic Management, and Allan Gray Limited contributed by managing these endowed funds. However, he believes the values applied to stock-picking are more tertiary than the core values required for successful and sustainable management. ‘When I decided to start my own business I sat back and asked myself: “What’s important; what do you want to accomplish?” Having worked in asset management with some great firms, we were competing against other firms to excel in investment management, but I never met a client in eight years. I felt we were missing something, because our driving motivation was just to beat the market. ‘The global financial crisis really showed the weaknesses of the blatant capitalist philosophy that was expounded in the business schools of the US for decades – that if the president of a company sought to maximise shareholder value everything else would fall into place, and that this would promote the well-being of society. As if it was automatic. ‘The obsession with profit was what led to the excessive remuneration of executives and the culture of stock options, and of course the increasing gap between the haves and havenots. The market crash was a very important shift, because it brought out the awareness of what was going on in society at large. ‘At Allan Gray we set out to create wealth for clients and give them a sense of financial security, not only to provide the best returns, but to meet their needs. The stock market is driven by greed and fear, and we wanted to meet real needs, not wants. 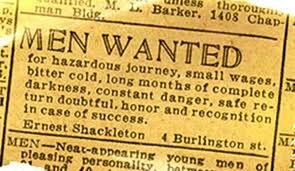 ‘What investors need is the feeling of security that comes with a good rate of return without too much risk. That became our rationale, the sense of purpose for the business. We set out to win the trust and confidence of our clients by excelling on their behalf and being very client-centric. ‘We are able to grow assets under management, which of course determine the fee, simply by getting a good alpha; if we outperform the market by five percentage points per annum our assets under management grow by 5% per annum more than the market, which is rather nice for expanding your revenue base.